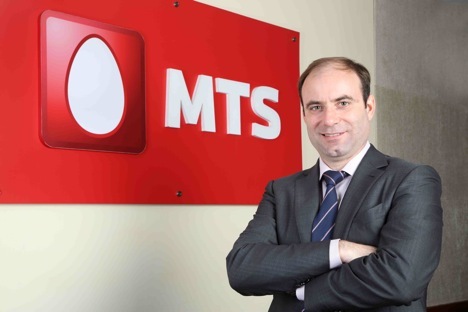 Dmitry Shukov, CEO of Sistema’s Indian arm, says a recommendation by TRAI to not hold an auction in the 800Mhz band would limit the Russian company’s expansion plans in India. AFK Sistema’s Indian arm Sistema Shyam Teleservices (SSTL) protested a recommendation made by the Telecom Regulatory Authority of India (TRAI) to not hold a spectrum auction in the 800MHz band, The Times of India said on Thursday. SSTL said TRAI's recommendation would limit its expansion plans for India, after having invested $3.6 billion in the country, according to the paper. “TRAI's recommendation to withhold auction will block all our future investment plans... We feel to be unfairly discriminated by blocking spectrum supply to us,” the paper quoted SSTL Chief Executive Dmitry Shukov as writing in a letter to TRAI chairman Rahul Khullar. The Times report said Shukov challenged TRAI's contention that CDMA operators, who operate in the 800MHz band, do not require additional spectrum at the moment and some of this may be converted to an e-GSM band. SSTL’s chief executive said the company had bought spectrum in the 800MHz band earlier this year on expectations of getting access to more spectrum in the future, the paper added. “Our decision for investment was based on current and future availability of spectrum in this band... Telecom investments are long-term and need a minimum degree of certainty. But the authority's recommendations to change the band plan within months of auction has triggered ambiguity, which is not conducive to our future investment decisions,” Shukov was quoted as writing in the letter by the Times. India’s Telecom Commission, a body comprising of ministers, will meet on October 3 to work out the modalities of the third round of spectrum auction, likely to be in 3 months. The panel is studying the TRAI recommendations. Sources tell RIR that senior Russian diplomats will convey Sistema’s concerns to the Indian government.